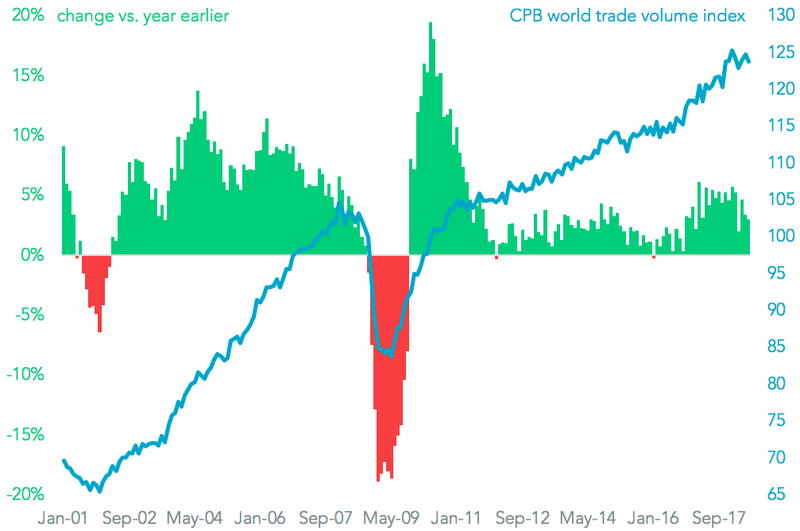 A slowdown in global trade growth appears to be underway by may be temporary. 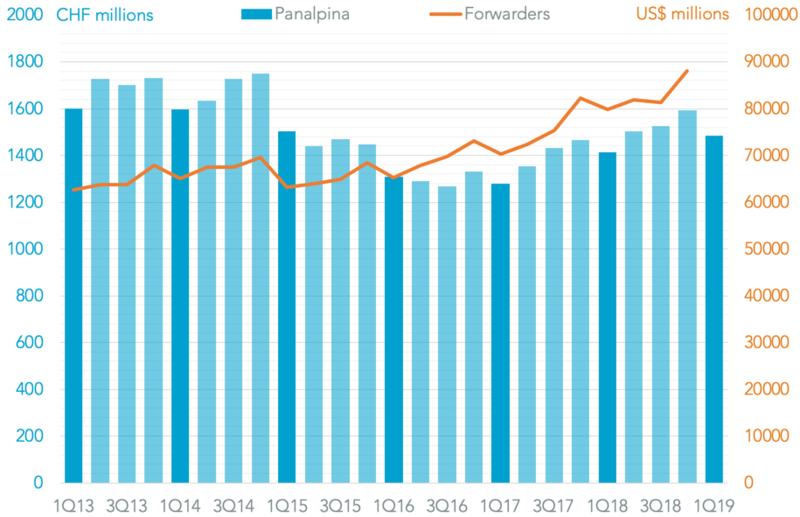 Global trade activity expanded by 3.0% in June, Panjiva analysis of CPB World Trade Monitor data shows, a second monthly slowdown. 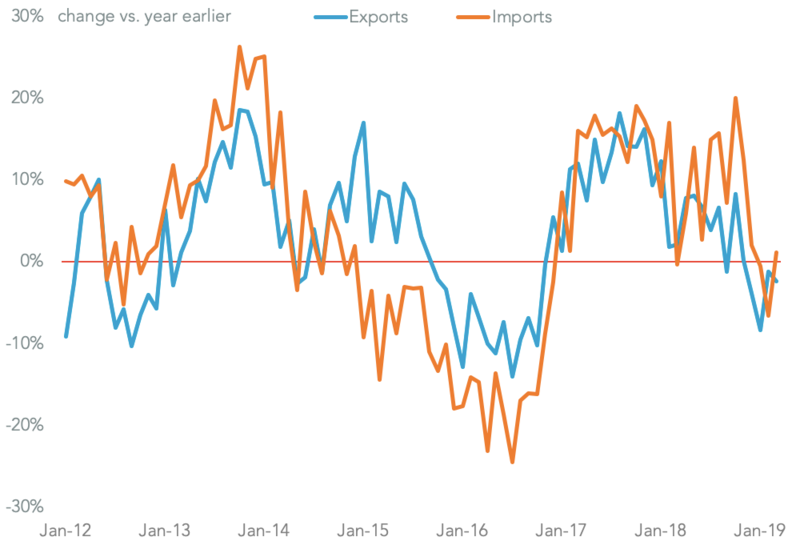 That was well below the 4.6% average from the prior twelve months and resulted from a drop in import activity to the lowest since February 2017. 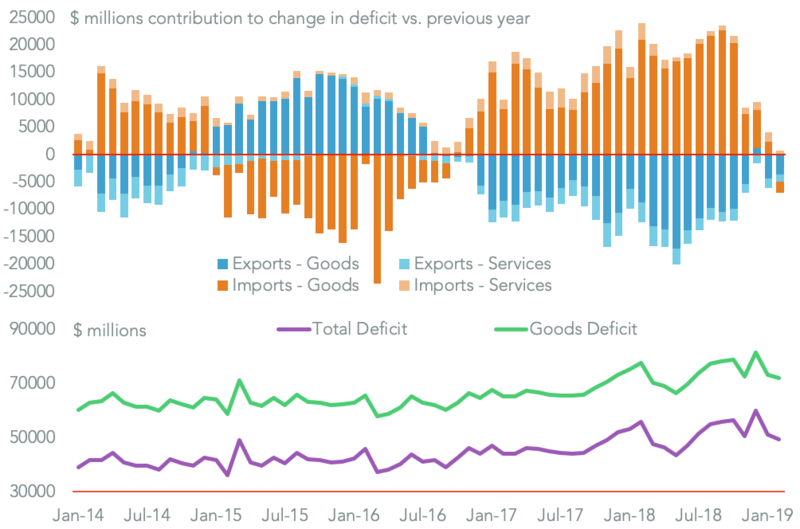 All regions slowed except for the U.S. which likely reflects a surge in shipments ahead of duties on Chinese exports, as outlined in Panjiva research of July 26. Signs of a return to growth – at least until U.S.-China duties widen, can be seen in the rise in export growth to 3.4% from 2.9% (exports by sea can take several weeks to become another country’s imports) in June. 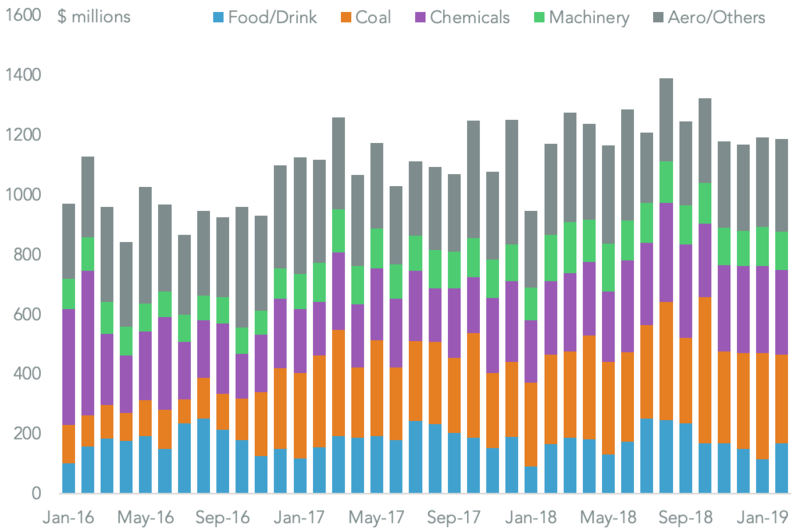 Furthermore accelerating trade activity can be seen from preliminary trade data from South Korea, China and India as well as seaborne shipping data in the U.S.